When Ilan Shtayer was a boy he often hiked through Lifta, the picturesque abandoned Arab village at the entrance to Jerusalem. The Palestinian population of Lifta was driven out of the village by the Israeli army in 1947-48 but the village remains unusually intact. He marvelled at its hilly vistas and green beauty. He ate figs and pomegranates from the trees in the fall and cooled off in the spring in the summertime. Decades later, he got word that Lifta plots were to be sold to developers who would create luxury villas. Shtayer’s group of 10 core activists and thousands more who signed petitions — the Coalition to Save Lifta — found a volunteer lawyer and took the matter to court. They demanded a halt to the plan until a professional preservation, fauna, and flora survey was conducted and the judge agreed. Israel’s top preservationists supported the case, claiming that Lifta is an important site, that a professional preservation process including mapping was mandatory. “The results of the survey were much more impressive than what we could say eight years ago when we said Lifta was very special,” says Shtayer. Among the survey’s discoveries were a wall from the Second Temple period, a reservoir from First Temple days, and houses with eight underground floors. The nonprofit World Monuments Fund named it as one of 25 at-risk sites around the globe and says it is unparalleled in the Middle East. “Today, the state’s plan is frozen,” says Shtayer. 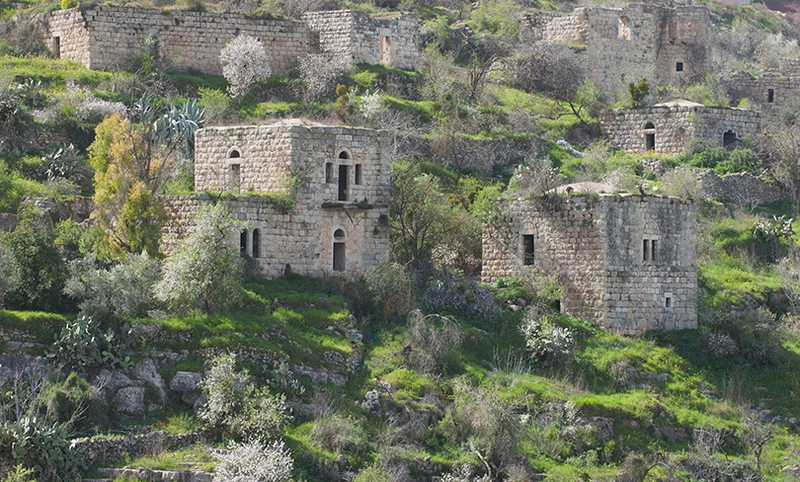 In 2016, the State agreed to add Lifta to a list of potential UNESCO World Heritage Sites in Israel.